North Coast Townhomes, East 38th St. 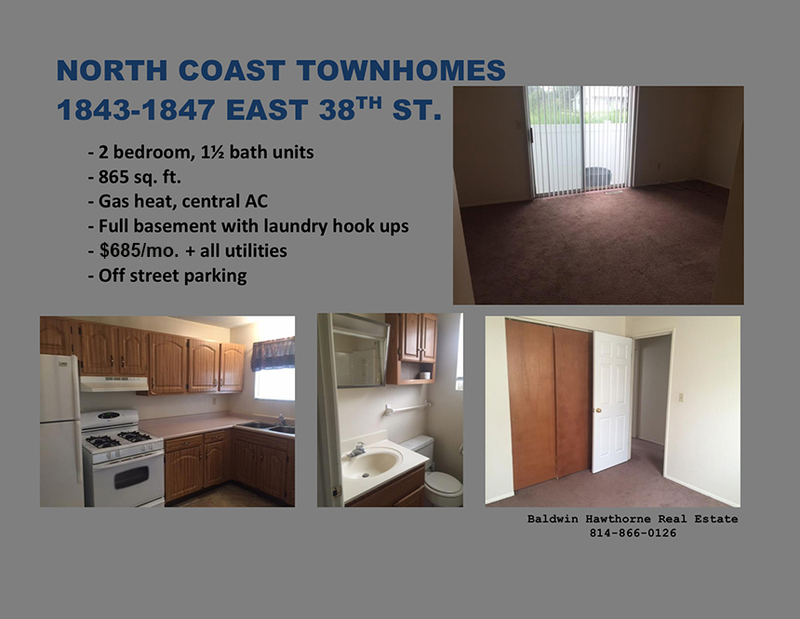 Call (814-866-0126) or Email for current availability of townhome rentals or to arrange a showing. Copyright© 2014-2017, Baldwin-Hawthorne Real Estate. All rights reserved.